It’s 4/15/2013 – our 2 year blogiversary – and I have exciting news! 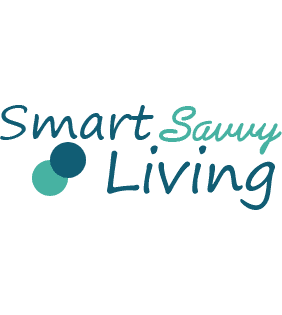 You may have already noticed a few changes over the weekend that Money Savvy Michelle is officially rebranding over the next several weeks to now be known as Smart Savvy Living! There’s no reason to panic, though. Most of our links will remain the same and any posts and recipes you may have bookmarked should work seamlessly – please let me know if they don’t though so I can fix them. :) If you already follow and subscribe to our various feeds and social networks you won’t need to change a thing. I have been thinking about rebranding for several months now. Honestly, for nearly a year the blog has already been rebranded other than changing the name. If you happened to be reading Money Savvy Michelle when it first launched in April 2011, you probably know that we started out as strictly a deal and coupon blog. While I loved sharing all the tips, coupons and deals to help us all save money, it was very time consuming and stressful. I often felt as if I had to be at the computer almost all day to be able to succeed in such a competitive niche. While blogging for me is first and foremost done as something I enjoy about topics I love sharing, it is also my business and full-time job. As such, I have never tried to hide the fact that I do make money blogging and sometimes specifically for giving my opinion on certain brands, etc. I was lucky enough to see really good success with monetizing the deal blog early on, but in early 2012 things started changing as many other bloggers in the niche also experienced. Between affiliates (networks often used to monetize blogs and sites) changing payouts, consumers getting tired of coupons and buying based upon deals (I’ll admit I’ve even gotten burned out myself), social media changes and more, it became even tougher to make a sustainable income. Add to it that I felt like I never really was able to let my own voice shine through or write about the topics I really wanted to (such as cooking) when writing about coupons and deals, I knew it was time for a change, both for my personal enjoyment and having the business survive financially. So, nearly a year ago I decided to transition from a deal blog to more of a living blog based on recipes and tips – basically helping you live a savvier life that wasn’t based on coupons. Words can’t express how happy I am to have made this change and to be able to truly write in my own voice while still seeing success in doing a job that I truly love. However, even though the blog was gaining more readers and views daily after being rebranded, the name still posed a problem. When you first see the name Money Savvy Michelle, most people think the site would be about coupons, deals and saving, right? I would too. It also became increasingly frustrating on my part to try to continue promoting the blog as Money Savvy Michelle when so many brand and public relations representatives I work with on a daily basis tended to still consider our site a deal blog based on the name. Readers and fellow bloggers also seemed to have a tough time linking to and/or mentioning our site – often thinking it was named Money Saving Michelle vs Money Savvy Michelle. So, it has become obvious over the last few months that the blog’s name also needed to be rebranded to fit our new focus. After much consideration and thanks to the help of friends, I have decided to relaunch the blog under the new name and domain of Smart Savvy Living (SmartSavvyLiving.com). I think this new names describes what I want the site to be about perfectly – living a savvy and smart life through tips, how-to’s, tasty recipes, etc. Again, you should not have to change any subscriptions or bookmarks. New posts will now start to be featured on Smart Savvy Living. Our Facebook, Twitter and Pinterest links have changed, but if you already follow us, there’s nothing you need to change. Our email newsletter/RSS feed, etc. links and subscriptions will not be changing. If you’d like to email us, our new email address is [email protected], though we will still be getting email from the old address as well. We’ll continue featuring recipes, DIY, tips and all the other posts you have come to love as our content focus will not be changing. All posts will not immediately be transferred onto the new domain as I am choosing to go through all of my posts and only transfer the ones that are quality and have to do with our new theme (aka no deals and coupons), which will likely take several months. If you happen to have a post bookmarked and it has been transferred to the new domain, you should be automatically and instantly redirected to the same post on the new domain. If you have any questions, concerns, etc. about this change, please don’t hesitate to leave a comment below or send me an email. Thank you all again for helping make this site such a success and giving me the ability to have a job I truly love! « Did You Know that You Can Recycle Electronics at Best Buy for Free? Congratulations on your 2 year anniversary and on the rebranding!